As of January 2016, the first legal ayahuasca ceremonies are being conducted on U.S. soil through a nonprofit organization called Ayahuasca Healings Native American Church. Based out in Elbe, Washington, Ayahuasca Healings N.A.C. partners with both the Fifth Dimensional Tipi Village Communities and with the Oklevueha Native American Church in order to perform ayahuasca ceremonies. The entire retreat occurs over 4 days (Friday to Monday) starting with a daylong cleanse over the first 24 hours. Ayahuasca Healings NAC carries a very non oppositional worldview and are completely open to participation from all races, genders, and those of any financial status. As a 501(c)3 nonprofit, Ayahuasca Healings N.A.C. does require funding in order to remain active and encourages participants to help alleviate the costs they face to perform this ancient ceremony in our modern economy. It costs roughly $1.5-2k for the services they offer per participant, but they will not turn away a potential participant solely for financial complications. The Ayahuasca Healings N.A.C. 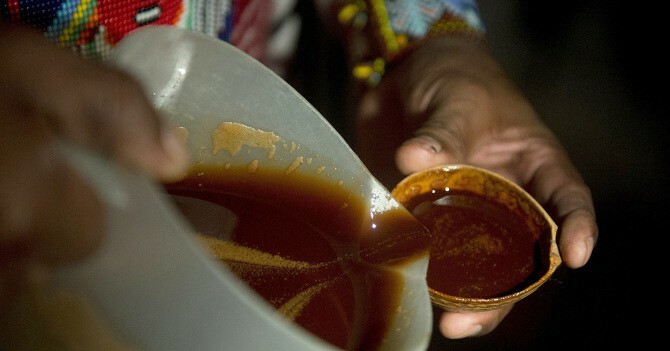 describes ayahuasca as a “tool, a teacher, and a guiding spirit” rather than a pill or a drug. Going into a ceremony, the intention behind your decision to ingest is infinitely more important than how many times you have taken ayahuasca or how much you take in one sitting. The entire experience is intended as a very spiritual, source healing experience and the organization does not condone the ceremony for potential attendees who seek to simply come and “get really high”. Ayahuasca is known by many names and titles including: the “Vine of the Soul”, the “Cosmic Serpent” (by Jeremy Narby), and “Mother Ayahuasca”, as a revered seat of deep knowledge, and spiritual healing originating from the shamanistic practices of the Amazon. Ayahuasca is believed to manifest a litany of both little and massive revelations and glimpses on a scale much larger (or smaller) than the practitioner. The psychoactive ingredient in ayahuasca is DMT, short for N,N-Dimethyltryptamine, a chemical compound produced by the plant Psychotria viridis. However, ayahuasca is not complete without the addition of B. caapi, (Banisteriopsis caapi), the vine component, which allows for drinking of the compound rather than smoking it, thus significantly extending the length of the trip from a mere 10-30mins to roughly 12 hours. Therefore it is important to be prepared for such an experience and to be in a very supportive environment like that of Ayahuasca Healings N.A.C. in which pre-screenings, therapeutic cleanses, professional help accompany an adherence to a code of ethics and conduct. These include a commitment to daily meditation and mutual respect among a list of other factors that guarantee protecting the core spiritual intention as well as the safety of all practitioners during what can very well be a life changing experience. The Ayahuasca Healings N.A.C. envisions the opening of 50 centers nationwide by 2032 and still offers 10 day retreat options located in Peru for those who seek a longer experience in an ayahuasca ceremony. Identification as an indigenous church proved necessary for the current stateside legal acceptance of the shamanistic ceremonial practice which initially protected only the peyote ceremonies of some southwest native tribal group through the American Indian Religious Freedom Act (AIRFA). Yet the shifting nature of the law, legal precedence, and the court systems make an officially permanent and openly recognized legalization of ayahuasca ceremonies in particular a point of debate and deliberation yet still. Anthropologist, Dr.Bia Labate speaks to this point further on her website as she continues her study of psychoactive substances, drug policies, shamanism, ritual, and religion in the United States, Mexico, and Brazil. For now groups like Ayahuasca Healings NAC are open to practice ceremonies at the US location until further notice. Narby, J. (1998). The Cosmic Serpent: DNA and the Origins of Knowledge. Jeremy P. Tarcher/Putnam. New York, NY. 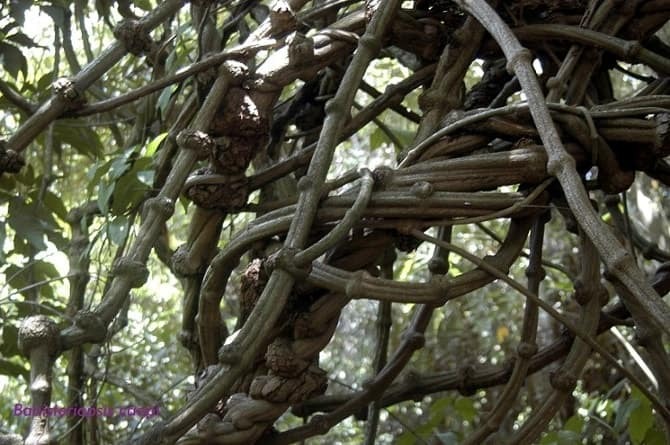 “First Legal Ayahuasca Retreat to Open in the U.S.” SuperShareIT. N.p., 05 Dec. 2015. Web. 11 Jan. 2016. Labate, B. December 12, 2015.The “Legality” of Ayahuasca Churches Under the Oklevueha Native American Church. bialabate.net.